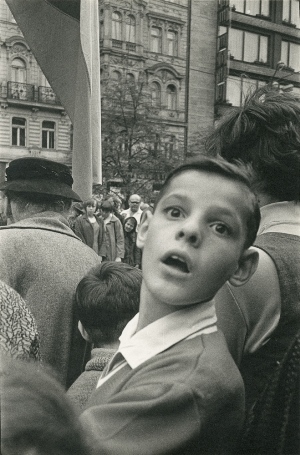 Daniel Pateman reviews the UK’s first-ever retrospective of the work of Czech Photograher Dagmar Hochová, exhibiting at 12 Star Gallery. Roaming Projects’ debut exhibition Mercury is the result of a six-year photographic and anthropologic project by London-based artist Lewis Chaplin that seeks to uncover the truths and mysteries that have shaped the representation of British-occupied Tristan da Cunha. Sasha Patkin reviews Steidl’s new book on Henry Wessel. This book presents three independent bodies of work by Henry Wessel, each being a precise sequence arranged to give the viewer the experience of what it felt like to pass through the territory described. Dorothy Bohm’s career in photography spans an incredible 75 years, having captured the ordinary lives of people in Europe, the Americas and the Far East. Having helped find the Photographer’s Gallery in London in 1971 and acting as Associate Director for fifteen years, her ability to observe the world around her has made her one of Britain’s greatest photographers. Sasha Patkin reviews Randi Malkin Steinberger’s forthcoming photobook No Circus. Spanning 75 years across the Victorian and Edwardian ages, the exhibition ‘Painting with Light: Art and Photography from the Pre-Raphaelites to the Modern Ages’ showcases the experimental beginnings of photography right through to its flowering as an independent international art form. These are displayed alongside the paintings which they inspired and which inspired them. What could a writer have to say about photography? Cultural critic Geoff Dyer writes about photography in his acclaimed book The Ongoing Moment. In a quest for historic truth, Diana Matar has been documenting Libya and Egypt’s urban landscape for several years. The four series on show at Purdy Hicks Gallery are all connected by the invisible figure of a man, whose singular and mysterious fate became representative of Libya’s dark past. By Céline Bodin. 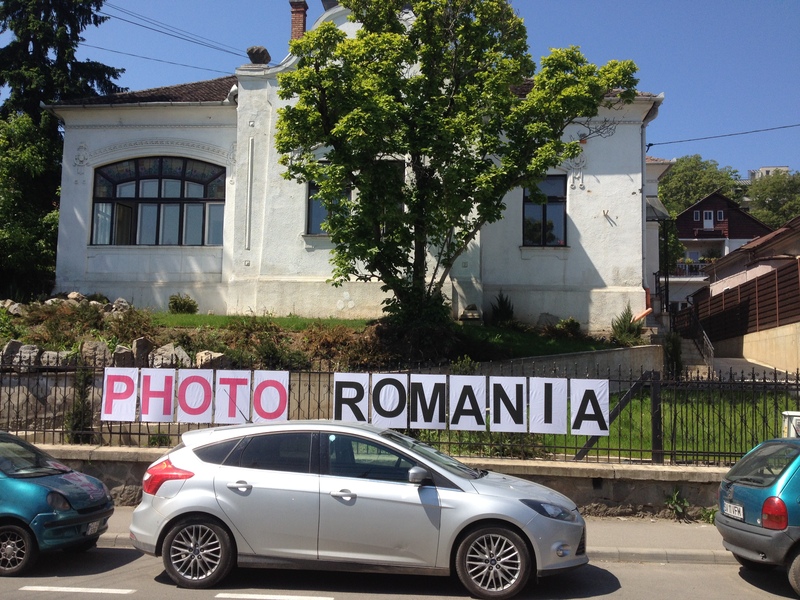 Our festivals editor Daniel Pateman travelled to Romania for the 6th edition of the Photo Romania Festival, discovering a bold international mix of abstract and journalistic photography, as well as a friendly network of passionate photographers. Taking place in the beautiful city of Cluj-Napoca, the festival comprised numerous in-depth presentations, which detailed a compelling array of artistic projects, and practical sessions were organised to cover specialist topics such as wedding, fashion, landscape and concert photography. Daniel Pateman reviews the large exhibition comprising of 23 international photographers who documented Britain. The Barbican show was curated by famous British photographer Martin Parr himself. Daniel Pateman reviews the reknowned British photographer’s latest show at Guildhall Art Gallery. Unseen City presents colourful moments captured in the City of London, a collection of images hovering between document and critique. Sunil Shah reviews the group show, curated by the acclaimed curatorial collective Hemera, that re-addressed female representation’s history in its entangland layers of visibility and anonymity. Secret Agent featured artists Maud Sulter, Mathilde ter Heijne, Aura Satz, Ye Funa, Niina Vatanen and more. A review of post-war Japanese photographer Masahisa Fukase’s series Solitude of Ravens, a most personal work from a touching darkened vision. By Daniel Pateman. Ellie Broughton reviews the photographs of Lee Miller, one of the most important female war photographers of the twentieth century. REVIEW: Some shows to see...and some to avoid. A January round up of shows in London, by Daniel Pateman. Some highlights: Alec Soth at Media Space, Julia Margaret Cameron at the V&A….and lowlights: Feminine Masculine at Photo50/ London Art Fair. A review of Boy Story, an exhibition of photographs by Magnus Arrevad showing vivid documentation of the international, subterranean scene of male performance. On view until January 31, 2016. 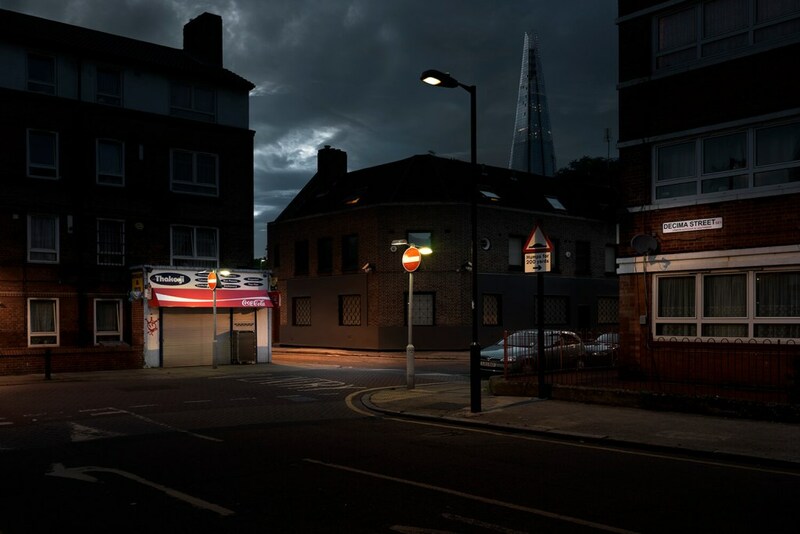 Daniel Pateman looks back on London’s ‘Urban Photo Festival’, considering how the diverse works challenged and added to the debate about what street photography can or should be. While the festival’s expansive, forward looking conception of Street Photography caused some people onsternation, others found their perceptions positively challenged, leaving them inspired to think further on the topic of Urbanism. The London Photography Diary spoke to curator of photography Kate Bush at the preview of Media Space’s current exhibition, Gathered Leaves: Photographs by Alec Soth. Aesthetic Paranoia, is a series of nineteen photographs by German artist Jürgen Klauke presented at Annely Juda Fine Art. The large black and white prints of the eponymous series are somewhat of a trademark of the artist, since the 1980’s. Daniel Pateman reviews Spencer Murphy’s new show, a series of enigmatic images selected by the photographer through a process of reflecting on his practice and how his internal relationship to themes such as nature and mortality, desolation and beauty, hope and despair, have been represented through the medium of photography. Daniel Pateman reviews the work of British Documentary photographer Shirley Baker, currently on view at the Photographer’s Gallery. The show focuses on Baker’s 15 year period in the 1960s-70s, photographing in Hulme, Salford and Manchester. Daniel Pateman examines the multilayered work of Tomoko Yoneda in Beyond Memory, an exhibition of work exploring the effects of past historical traumas and political turmoil on the present day. On view at Grimaldi Gavin Gallery until August 7, 2015. Rob Ball’s quiet and contemplative tintypes capture the disused site of Dreamlands in Margate and Coney Island’s amusement park in New York, Frances Green finds. In depth visual analysis by Kay Watson on ‘Orogenesis’ by Joan Fontcuberta, which, according to Watson, is an investigation into the philosophy and politics of photographic representation, and role of the imaginary in the representation of space. Sebastiao Salgado gained notoriety in the 1980s, when he photographed the famine and its effects in the Sahel region of Africa. Since then, he has continuously documented the most uncomfortable aspects of our contemporary world – human pain resulting from exploitation, terror of wars, and ecological destruction. Céline Bodin reviews Clare Strand’s experimental exhibition showing at Grimaldi Gavin until 6 Jun. From families hit by Ebola, to abandoned Italian nightclubs, including Bolivian women wrestlers and American teenagers on their prom night: the 2015 Sony World Photography Awards exhibition features some of the finest photographs of the year in the most diverse categories. Appearances are bearers of meaning. Our first impressions of a person are concealed within our own imaging process. After premiering his latest short film ‘Bromance’ on NOWNESS, a video channel showcasing contemporary culture through film, Miriam Otterbeck meets the Swedish artist Bertil Nilsson to discuss modern male relationships and how he employs varied mediums to explore movement and the human form. Hemera curators Kay Watson and Jaime Marie Davis interview Sheyi Bankale, curator of Photo50 at the London Art Fair 2015, about his exhibition Against Nature. Guy Bourdin: Image Maker sheds new light on the infamous French fashion photographer Guy Bourdin. The roots of the British feminist movement are explored in The National Portrait Gallery’s recent display Suffragettes: Deeds not Words. Helena Haimes takes us on a tour of the first UK exhibition of Eva Stenram’s surrealist series Parts (2013 – ongoing). Two years ago, Allan Sekula proposed that all ‘new documentary’ had a tendency towards ‘subjectivism’ and ‘authorial self-revelation’. Jo Metson Scott’s five year The Grey Line is a good example of what Sekula meant by this seemingly contradictory statement. Fangfei Chen analyses Burtynsky’s famous photograph in the context of Marxist theory of worker exploitation and her own experiences growing up in China. Constructing Worlds investigates the symbiotic relationship between photography and modern architecture. Francesca Marcaccio considers Woodman’s experimental and deliberately enigmatic approach to self-portraiture. Chronicles II is the first exhibition to be launched in conjunction with The Missing Chapter, a research project which seeks to explore the photographic narratives of migration and cultural diversity in relation to Britain’s colonial past. LPD editor Sarah Allen introduces herself and the platform.